Crafted from aluminum, these high-response earphones with an in-line microphone are lightweight, durable and built to deliver impressive sound. 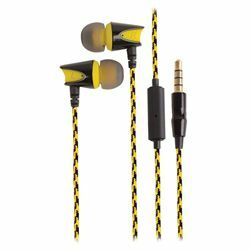 Great for on-the-job listening thank to the reinforced braided cable and comfortable fit. Braided cable adds layer of durability.